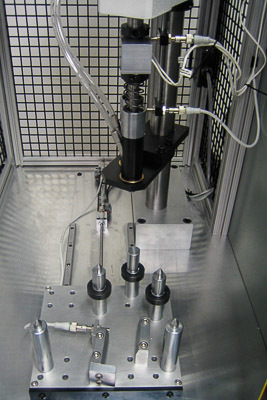 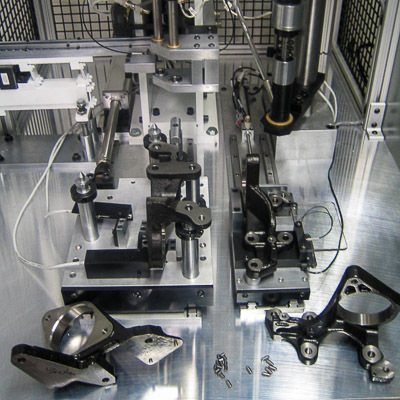 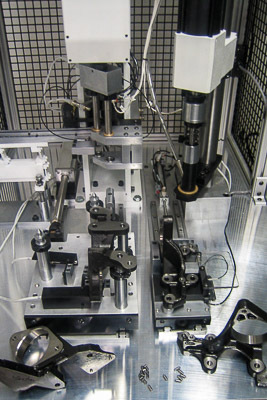 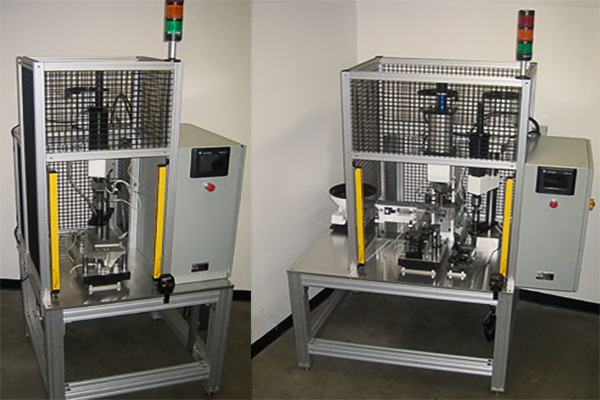 Two Automatic Pin Inserter Systems to feed and press pins into automotive components. 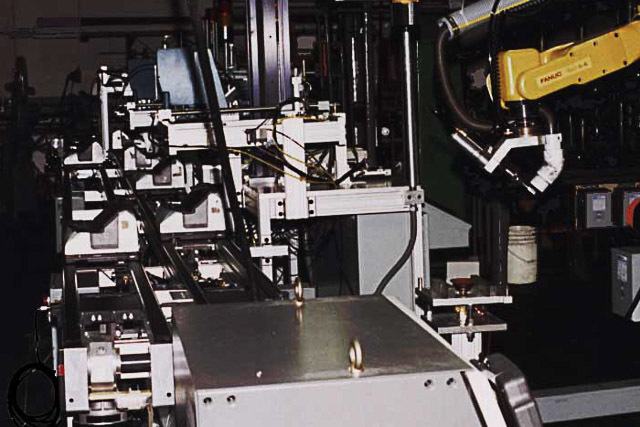 Both systems utilize our standard pin inserters and one machine has an additional pick and press system. 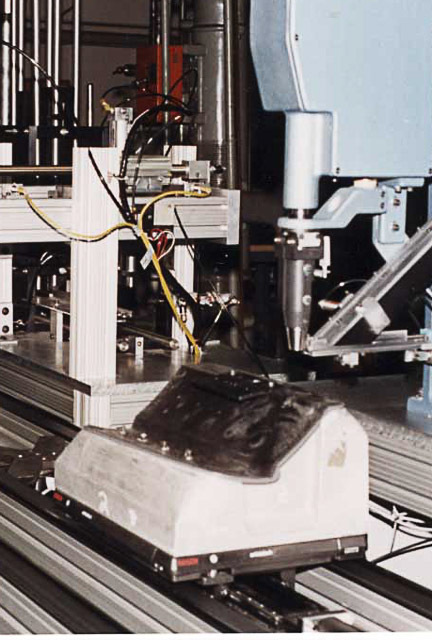 Custom In-Line Transfer Assembly Machine with Automatic Pneumatic Screwdriver Systems and a Robot Trimming System for removing flash from a Passenger Side Air Bag Door Assembly. 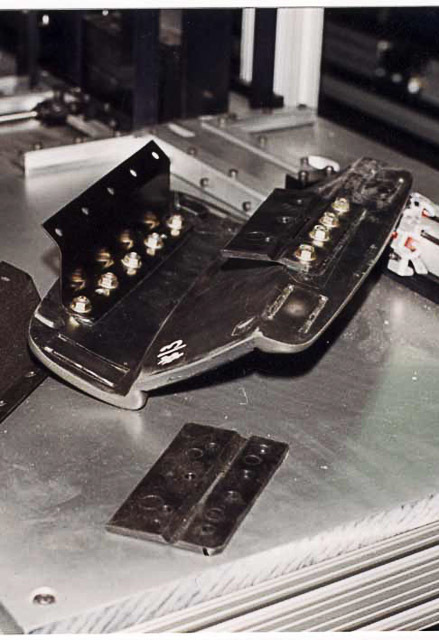 Door Assembly includes a molded Door, Tear Seam, Hinge and six (6) Nuts.